Individuals that pay taxes quarterly, including retirees and business owners, may not be paying enough. According to Internal Revenue Service data, the number of filers penalized for underpaying estimated taxes rose nearly 40% between 2010 and 2015, to 10 million from 7.2 million. In 2015, the total number of filers owing penalties may have exceeded the number filing estimated taxes. This is possible since those who paid quarterly taxes may have made mistakes, and others who didn’t pay them should have. "The data suggest that millions of people don’t understand they need to pay quarterly taxes, or at least increase their withholding to avoid penalties,” per an IRS spokesman. Estimated tax payments are Congress’s way of keeping non-wage earners from having an advantage over wage earners. More than 80% of taxpayers have wages that are typically subject to withholding, and most people pay their income tax this way. Thus the law requires people with other types of income to make quarterly payments based on amounts received during each period. Taxpayers with both wage (W2) and non-wage (1099) income must either pay taxes quarterly or raise their withholding to cover the non-wage income. If total payments don’t meet certain thresholds, then taxpayers may owe a penalty on the underpayment based on interest charged by the IRS, which is currently at a 4% rate. In addition, more baby boomers are retiring from full-time work or are taking required distributions (RMDs) from retirement plans after age 70.5. 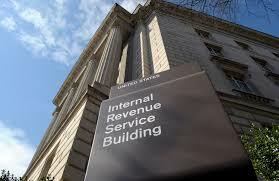 In either case, taxpayers may be unaware they’ll owe quarterly payments on some or all income.